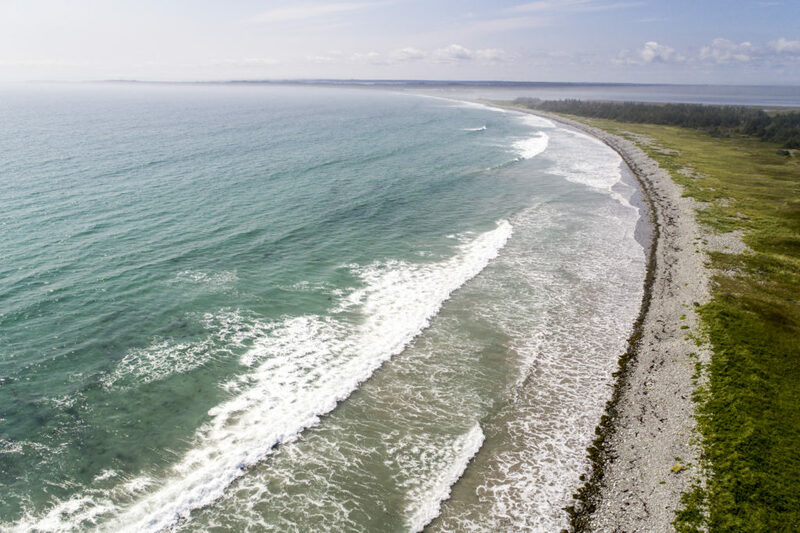 The Nova Scotia Nature Trust is undertaking an ecological restoration project on the Hemeons Head Conservation Lands in Shelburne County. This protected area provides critical habitat for migratory shorebirds and a number of at-risk species, along with a variety of recreational opportunities and beautiful shoreline vistas. The Hemeons Head Conservation Lands encompass the 170 acre Black Point Beach and the adjacent 150 acre Matthews Lake. The site supports a rich diversity of plants and wildlife. The cobble Black Point Beach provides a natural break water for the adjacent saltmarsh. The area is part of an internationally designated Important Bird Area, and is a known as a migratory bird flyway. It provides critical nesting and breeding habitat for shorebirds and wetland birds, some of which are rare and at-risk. The area also provides important habitat for other endangered species such as Monarch butterflies. The careful management and stewardship of the Hemeons Head Conservation Lands is very important because of the unique wildlife and plants found there. Many of these species have only a handful of remaining suitable habitats left in the province. The Nature Trust is developing a comprehensive management plan for the site to ensure the natural environment is not at risk. Part of this involves specific restoration actions to address disturbed habitats. The Nature Trust has begun habitat restoration, research and conservation efforts at the site. Last month volunteers helped clear garbage from the beach which poses risks to wildlife. Hemeons Head is prone to intense storm and wave action, which frequently brings marine debris to the beach. This waste, which is largely plastic-based, can be ingested by marine and shore life. Its presence can also attract predators to bird nesting sites. The restoration work continues on Saturday with another habitat restoration activity. Volunteers will be participating in an experimental restoration project for an introduced species (Beach Rose), a first for the Nature Trust. Another aspect of protecting the natural values of Hemeons Head is managing use and enjoyment of the site. Existing recreational uses include hiking, bird watching, all-terrain vehicle use, fishing, and clam-digging. All-terrain vehicle trails are of particular concern, as they cause disturbance and trampling of fragile native plants that can take many years to restore. They can also disturb birds that are nesting or foraging, which causes them to expend valuable energy needed for migration and raising their young. The Nature Trust hopes to better understand the scope of all these potential impacts in order to plan for the long-term management of the Hemeons Head Conservation Lands. A major part of this process is engagement with the community and other key interest groups. Hemeons Head is cherished by local users, and the Nature Trust relies on them to help provide valuable monitoring and restoration information. This year two open houses in the local community helped us understand how residents currently use the area, and what they would like to do in the future. This information is vital to help inform our management strategies going forward. 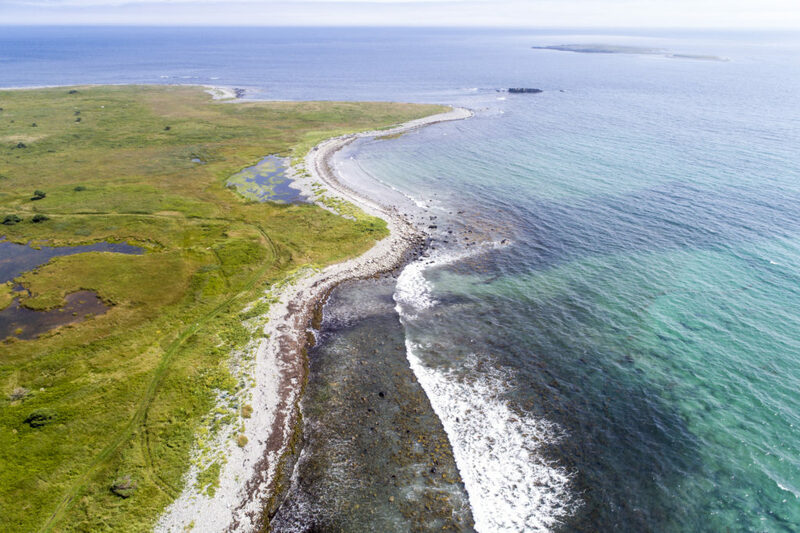 The Nature Trust would like to recognise the support from the Government of Canada’s Environmental Damages Fund to complete this conservation work.